We don't waste any time on the spots, as everyone throws superkicks until we wind up with Daga and Taurus in the ring. Taurus superkicks Daga into next wek, then takes Ortiz out with a dive. Daga dives onto Fenix, and we're left with Pentagon and Santana in the ring. Pentagon outmaneuvers Santana for a bit, but Santana hits a rolling Ace Crusher for 2. Pentagon is caught in the wrong part of town and eats a series of double and triple teams. Pentagon somehow manages to fight his way out of that, clears Daga and Santana out, and makes the hot tag to Fenix, who cleans house on Ortiz, but Ortiz hits a blue thunder bomb, and they both respectively tag in Daga and Taurus. Taurus looks like a short, jacked, Mexican Mantaur who wrestles with the mask on. Daga witha bridging German (Mexican?) suplex on Taurus for 2, then backdrops Taurus to the floor and tags in Ortiz, who takes Taurus out with a dive. Now everyone takes turns hitting dives, and we're at commercial. We're back, and just like that, Fenix catches a fall on Ortiz to pick up the win. Pentagon gets into the ring with the mic and says something in Spanish that I assume roughly translates to him wanting another title shot. The subtitles Impact thoughtfully included to translate confirm this, and everyone agrees to do it again next week. Melissa is backstage with Moose and Killer Kross, who says he's not in very good spirits because of the way Brian Cage interjected himself last week. He says Cage isn't invincible, and he's going to learn a very hard lesson in the near future. Moose calms him down, and says he's been through this before, and the way to win is to keep your composure. They're going out there tonight, they're going to kick their asses, then get some tequilas and enjoy the night. We go to the satellite LAX clubhouse, and Konnan tells them that he accepted on their behalf, and this time he doesn't have any problem doing this, and he hates to be redundant, but let's keep it professional out there. LAX assures him that they're going to watch their mouths, and Konnan does LAX 5150. Su and Allie try to get the jump on Jordynne, but she ragdolls the both of them, then crushes Su in the corner with a pair of charging kneestrikes for 2. Kiera tags in and Jordynne slams her onto Su for 2. Su and Allie are able to get Jordynne out to the floor and post her a couple of times to get an advantage on the powerhouse, and for the first time I can remember, Jordynne is in peril. Jordynne gets free and the lights suddenly go out, and when they come back up, Rosemary is standing on the apron reaching her hand out as if for a tag. Kiera hits her swinging fisherman's suplex, the lights go out, and the ref counts 3. Good match, and looking forward to seeing Rosemary back in action. Eli Drake and Eddie Edwards are backstage, and they're...WARMING UP! We see a video of Scarlett Bordeaux training with Bobo at the pool, beating him up and knocking him into the water. Okay. Eddie and Wentz start us off, and Eddie struggles, so Eli tags in, yells at Eddie, and proceeds to get regulated as well. Rascalz with a series of double teams to maintain the advantage, but Eli trips Wentz off the second rope, and instead of going for the win, Eddie gets in Drake's face over that move. Drake tags himself in and hits a side suplex for 2, and Wentz is officially in peril. He breaks away and tries to make the tag, but Drake yanks Xavier off the apron to put a stop to that, and Eddie hits Wentz with a Finlay roll. Drake is back in, but lets Wentz slip by and make the hot tag to Desmond Xavier, who comes in and hits a sweet dropkick on Drake for 2. Eddie takes out Wentz with a dive, and he's got the Singapore cane. The ref stops him from taking it into the ring, but Drake gets the cane, drills Xavier, and hits the Gravy Train for the win. Good match, and I have to say I'm pretty amused by the interplay between Drake and Eddie here. We see a prerecorded promo of Tessa Blanchard at home complaining about Gail Kim being the reason she got suspended and missed the trip to Mexico. Her suspension is up on February 15th, and she wants her rematch with Taya Valkyrie. We see a video package of Rich Swann talking about his history with Sami Callihan and how Sami took him in when he had nobody, and it probably cost Sami his marriage, but all Sami wants now is one more person to watch his back, and he's not gonna do it. Melissa is backstage with Taya Valkyrie, who says the rematch would have happened faster if she hadn't gotten herself suspended, but she'll be happy to do it again, and take it a step further to make it a streetfight. Crowd is evenly split here as they quickly go to the outside and Bahh flattens Clown with a rolling splash. They head back in where Bahh tries to take the mask off of Clown, but Clown manages to hold onto that, dumps Bahh to the floor, and hits a pair of dives one right after the other. Bahh goes for the Banzai splash, Clown counters to a sunset bomb for 2, Bahh blocks la magistral cradle and hits an avalanche in the corner, but Clown avoids a splash and gets la magistral on the second attempt for the win. This was fun but short. Brian Cage bursts into Johnny Impact's locker room and says that he's his guardian angel tonight. Impact says Cage is getting his title shot in two weeks, and Cage says he wants him to stay healthy tonight so he has no excuses when they face off again. Psycho Clown is backstage celebrating with his friends, and says this is a sign of their impending success in the 2019 World Cup. Josh and Don talk about stuff, and then it's main event time! Moose and Impact start us off, and Moose overpowers the world Champion, but Imapct ducks the Gamechanger and hits a flying headscissors. Kross tags in, and Impact tags out to Cage, and here's a fight for you! They go face-to-face and trade blows, then trade shoulderblocks, then Cage hits a clothesline and a flying headscissors before slamming Kross to the mat. 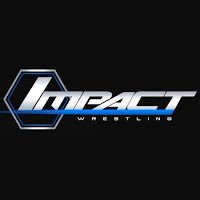 Impact tags in and hits a slingshot senton, followed by a rolling neckbreaker for 2. Moose distracts Impact, and Kross slips in and hits a gutwrench powerbomb, and Impact is in trouble. He catches a beating for several minutes before ducking a clothesline from Moose and making the hot tag to Cage, who goes right to town on Moose, hammering him with strikes and hitting a release German suplex for 2. Kross tries to intervene, but Cage turns him inside out with a German suplex as well. Cage goes to the second rope, Moose hits Go To Hell, but Impact blind tags himself in and drills Moose with a running knee for 2. Leaping enziguiri to Moose, but goes for a Tidal Krush on Kross, misses, and drills Cage. That just pissed off Cage, who flattens Impact with a roaring clothesline, setting him up for Moose to hit a spear and get the win. Great main event, and now both Kross and Moose have pinfall wins over Impact. The plot thickens.